Agaricus blazei Murill (ABM) has traditionally been used for the prevention of cancer. Its putative antitumor effects have sparked the interest of scientists who decided to put ABM to rigorous scientific scrutiny. A series of laboratory studies, gathered from all over of the world, demonstrated that extracts from ABM induce tumor regression in mice. These positive results in animal models as well as in vitro mechanistic studies with cancer cells, have prompted a series of clinical trials, which may bring about beneficial effects of ABM for patients. Cancer is one of the major causes of death and disability worldwide – right next to heart diseases. Unfortunately, despite the significant improvement in diagnostic techniques, there is still no safe and efficient treatment to cure cancer. According to WHO, in 2004 alone the disease accounted for 7.4 million (or around 13%) of deaths worldwide. Studies found that a group of active ingredients such as beta-glucans, proteoglycans and ergosterol were responsible for the induced tumor regression in mice. Additionally - mice, which were supplemented daily with beta- glucan isolated from ABM, exhibited a decreased level of spontaneous metastasis of ovarian and lung cancer cells. In another set of experiments, fat soluble ergosterol from ABM proved to be an antiangiogenetic substance, which hampers blood vessel formation and as a result reduces tumor growth and metastasis in sarcoma- and lung carcinoma- bearing mice. The antitumor effects of ABM extracts have been attributed to the induction of apoptosis (programmed cell death) of cancer cells and the activation of NK (natural killer) cells. It has been reported that increased NK cell activity correlates with increased infiltration of cells in tumor sites. Moreover, the analysis of leukocytes from HCV patients supplemented with ABM extracts, revealed an increased expression of genes, which are crucial in antitumor defense. Clinical trials were focused on patients with acute non-lymphotic lymphatic leukaemia. The results demonstrated that extracts from ABM inhibit leukaemia cells. Currently, there is a number of on-going clinical studies, which are also focused on the role of ABM extracts in treating cancer. 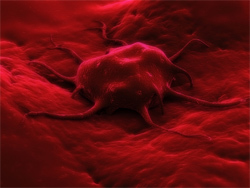 At the moment ABM extracts are used in conjunction with traditional classical cancer treatments, such as chemotherapy. It is well know that the standard treatment, alongside with X-irradiation of tumors, have many undesirable side effects that degrade the quality of life for patients who already suffer from a horrific condition. ABM could prove to be invaluable in easing side effects and thus improving the quality of life for cancer patients. Not only do ABM extracts help enhance the clinical outcome of traditional classical Western cancer treatments, but they also ease the physical and psychological suffering from the side effects of chemotherapy, providing much needed relief to cancer patients.